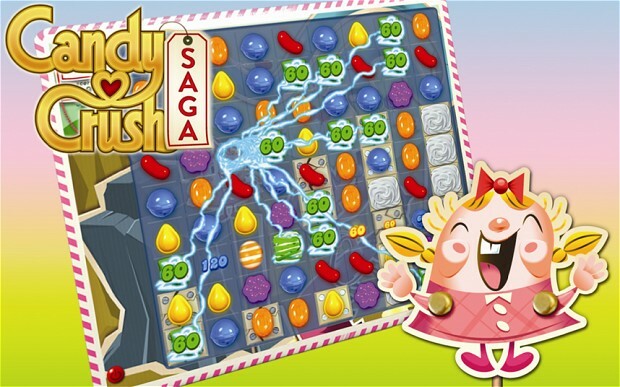 Pammie's Crib: Candy Crush saga. Hmmm, I've been singing/humming "Santa-clause is coming to town" and "we wish you a merry Christmas" joyfully since today and didn't notice when my colleagues began to stare. I wonder why all these Christmas rhymes in August, or does it mean something else? Anyways, hope everyone is in glee cos finally Friday has bounced in. Weekend starts after the close of work today, Yippy, for people who ain't working this weekend. Well, I had something else to write but it was stored in my phone, and at the moment my phone is currently busy with candy crush saga. I'm sure a lot of us have heard about this candy crush that has been driving people insane both with anger and excitement. In my office, we are actually competing on who will be the fastest to get to a certain stage, and at the moment, all the people I was way above them, have all passed my level. I've been stuck in level 70 for more than three weeks now, (don't laugh). Yes, alot of people have gone really far in the game, a colleague is even presently at 723 or so but here I am still stuck in 70. The game is all shades of interesting but must it be so annoying. The fact is you cant stop being drawn to it. A friend angrily said they used jazz on the game, cos after you say you won't play it again, you find yourself drawn back to it. I almost believed it. Lol. So, I had to loan my phone to a professional on the game who would help me win that level and so many other levels he can win. I have to beat all those guys in return cos I am vexing already. How can someone who was barely in level 10 when I was in level 50 now beat me to 100, biko, how is that even possible? I had to do something. My fellow candy crushers, how levels? Wishing everyone a beautiful weekend ahead. Kisses, muahhh. As popular as that game is, if I tell you that I have never played it, you might not believe... I only see people playing it especially inside danfo, while waiting for the bus to get filled up or will on the move. Na wa o! Candy kini? I don't even know what d game looks like not to talk of knowing how to play it. 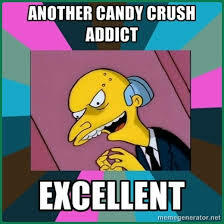 I love candy crush game but I have stopped playing it. pet rescue is more interesting to me. I stop playing this game lonnnnng time ago, wetin sef? the game nor get ending.